View The Obituary For Donald E. Lussier of Bellingham, Massachusetts. Please join us in Loving, Sharing and Memorializing Donald E. Lussier on this permanent online memorial presented by Cartier’s Funeral Home. 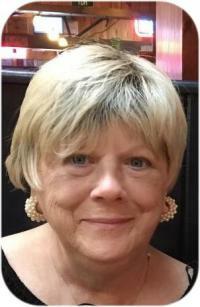 View The Obituary For Mary Lee Welch of Lawrence, Massachusetts. Please join us in Loving, Sharing and Memorializing Mary Lee Welch on this permanent online memorial presented by Conte Funeral Home. Mary “Sue” Jennison, 93, of Simsbury, Conn. and Nantucket, died Thursday, Nov. 22, 2018. Services will be private. Margaret “Peg” (Greaney) Adams, 81, passed away peacefully on Wednesday, Nov. 28, 2018 at Sturdy Memorial Hospital, Attleboro. Dianne Lee Mahoney, 70, formerly a 42-year resident of Wrentham, passed away peacefully Nov. 22, 2018 at her home in Hampstead, N.C. She was surrounded by her loving husband and two sons.